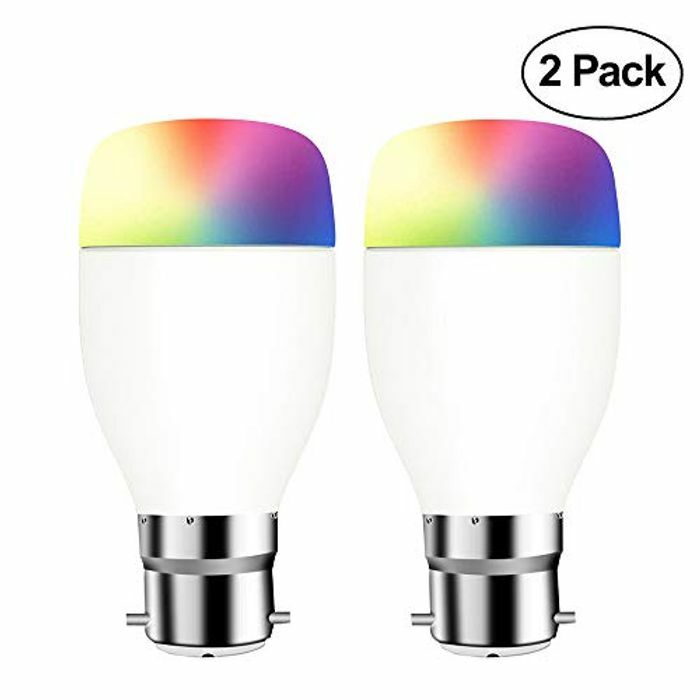 Twin Pack WiFi Smart LED Bulb from Amazon - 60% Off with Code! Dance With Music: This smart bulb could change different colors once you are playing music, Make your life easier and more colorful. Remote Control Bulb: Remote control your lights anywhere with your android or ios device by using the free "eFamilyColud" app. Make your life simple. Voice Control Smart Bulbs: Could work with Amazon Alexa Echo, Google Home .You can use simple voice command to turn On/Off your lights. Provide your life more convenience! Share Bulbs with your family: Could share your bulbs with your family, one or more smart bulbs could be controlled via your family as well.